In the Pokémon anime, Ash is ten years old. Eternally. But in the Digimon anime, the human characters are getting older. 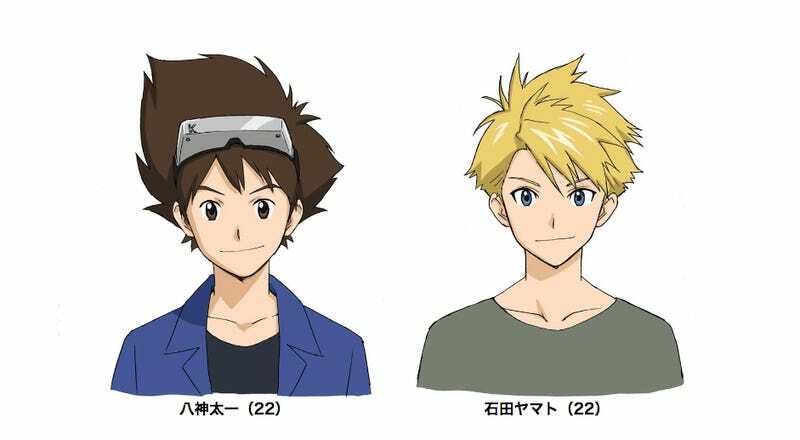 The upcoming Digimon movie, which marks the franchise’s 20th anniversary, stars a 22-year-old Taichi (“Tai”) and Yamato (“Matt”). When the anime started, both characters were boys and now, years later, they’re adults. The fact that the characters age gives greater depth to the anime, moving out of an abstract timeline closer to reality. Pokémon Fans Are Having Fun With "Cute Ash"